Tagline: "A Life and Death Intervention." A trailer for The Hoard has debuted this week. 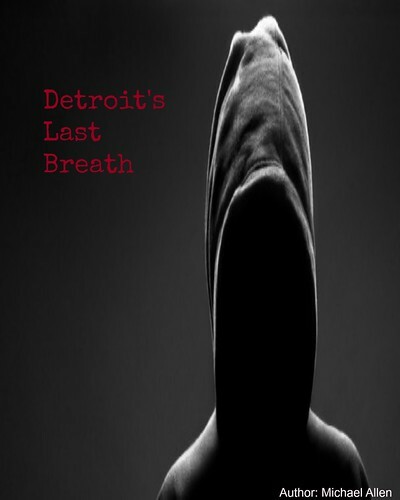 From directors Jesse Thomas Cook (Septic Man) and Matt Wiele (Exit Humanity), this horror comedy involves a "reality tv crew" and a series of condemned houses. The crew hopes to get a hoarder back on his feet. But, this might be impossible with the amount of trash and bodies, housed inside the buildings. The Hoard is set to have its World Premiere, in Toronto, this November 25th, at the Blood in the Snow Film Festival. Details on this release are hosted here. The trailer is a funny one. Some of the crew are unable to get past the piles of garbage. Another crew member almost falls to his death, at the end of a hall. Dead cats keep turning up. And, one woman runs from this hoarding nightmare as she loses her sanity. This trailer will surely brighten your dark, Winter day. 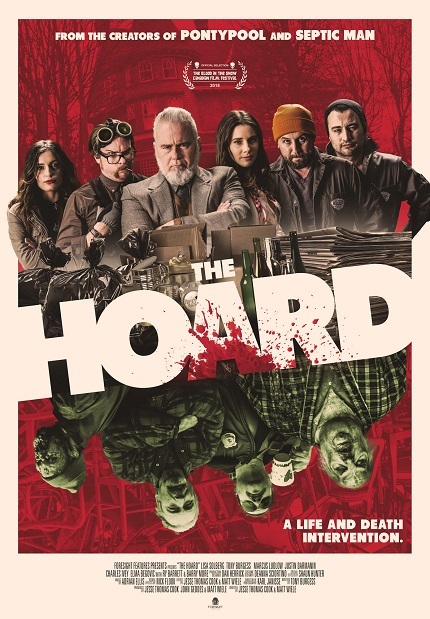 With the film completed, The Hoard will likely continue a film festival run, throughout the year. Horror or comedy fans, near Toronto, can see the film at The Royal Theatre (7:00PM). A wider release will also be announced soon, with The Hoard set to entertain fans of physical comedy. Release Date: November 25th, 2018 (Film Festival). Directors: Jesse Thomas Cook, Matt Wiele. Writers: Tony Burgess, Jesse Thomas Cook. Cast: Lisa Solberg, Tony Burgess, Barry More, Ry Barrett and Elma Begovic.